If you need help with hot tub water testing in the Hickory area, call us today! Hot tub water testing is essential to determine the status of your hot tub. It can seem like a difficult process to make sure you have the right ratio of chemicals and water, and with help from our team at S & H Pools, you can get your hot tub water testing done quickly and correctly in the Hickory, North Carolina area. At S & H Pools, we have all the equipment and products you need for hot tub water testing, and you can feel confident you are getting only quality products when you work with us. We want you to safely enjoy your hot tub whenever you want, which is why we are here to help make your hot tub water testing as easy as possible. Our trained staff is ready to answer any questions about hot tub water testing, whether you want to know why it is necessary, how to do it, or which materials to use. 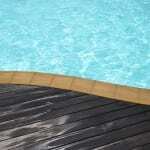 You can trust our team at S & H Pools to provide you with the right information and suggestions. With over 37 years in the business, we have learned how best to help each of our customers in the Hickory area. We started and still work as a family owned and operated business, and have kept that friendly, personal service you expect from a local business. Our goal is to always be a reliable team you come to for all your hot tub needs. If you need help with hot tub water testing in the Hickory area, call us at S & H Pools today. We look forward to working with you!